From the debut of Scout in the posh Thompson Seattle hotel to the revival of Capitol Hill chain pizzeria Amante (minus its irritating sign) — the whole gamut of local restaurant news. Scout downtown: Josh Henderson’s 177th restaurant to open this year is in the new Thompson Seattle hotel at First and Stewart. The hotel chain says the Olson Kundig design achieves “luxury… with a refined edge,” while Scout features camping-plaid-upholstered booths, “a smartly deconstructed cabin” for private dining, and a chef’s counter serving “cutting-edge courses.” Samples from the opening menu: heirloom tomatoes with crispy ham, smoked cream, and basil with a charred tomato vinaigrette for $14; maple-cured crudo with raw beets, yuzu, and pickled berries, $17; trout with clams, artichokes, and charred spring onions, $27; dry-aged beef strip loin with smoked asparagus and pearl onion-red wine syrup, $34. Upstairs at The Nest, the city’s highest rooftop bar, you may partake of a custom ice program. Who’s cooking? A rep says both Scout and The Nest are operated by Henderson and his Huxley Wallace Collective, in collaboration with executive chef Derek Simcik from the Thompson Hotels side. Quinton Stewart (formerly of Bellevue’s 99 Park) leads the chef’s counter. Henderson will be in the house at times, but his home base will be his next restaurant, Vestal, opening next month. Bar Vacilando on Capitol Hill: The owners of longtime Belltown favorite gastropub Black Bottle have installed this “airy neighborhood bar” in the space on 15th vacated by 22 Doors a looong time ago. It looks very pretty, and the world-ranging small plates from chef Brian Durbin look just as good as Black Bottle’s (which makes sense, as he’s been exec chef there for years). Cinque Terre in the new Amazonia/Denny Regrade: The owners of Barolo (and Mama Melina, and List) present another of “their regional Italian concepts,” just steps away. Chef John Neumark (Cafe Juanita, Serafina) is making a menu of local seafood, house-made pastas and artisan pizzas. The Atlantic in the Central District: Across the street from (the great) Standard Brewing, this place from the owner of Altstadt in Pioneer Square serves a menu of “thoughtfully prepared local, seasonal food” — snacks, sandwiches like a ginger-molasses tofu banh mi, burgers — from a former Serafina chef. Absinthe Brasserie and Bar in Belltown: Brought to the former home of the Lost Pelican by a New Orleans native, this place (of course) dispenses the spirit of its name, plus southern food including gumbo, shrimp and grits, hush puppies, and beignets. Amante on Capitol Hill: The franchise pizzeria has reopened under new ownership (and faces a monumental challenge in Dino’s Tomato Pie across the street… or maybe it’ll benefit from overflow?). Most importantly, its eyesore of a blazingly lit sign at the corner of Denny and Olive is turned off. Zaccagni’s downtown: The former Pike Place Market sandwich counter, known for a very good, lighter-than-usual eggplant Parmesan, is back a few blocks away. Damn the Weather in Pioneer Square: Chef Eli Dahlin (inventor of the ingenious Caesar salad sandwich) is moving on after June 24, new post TBA; chef Brian Papenfuss, from splendid Stateside, will step in. 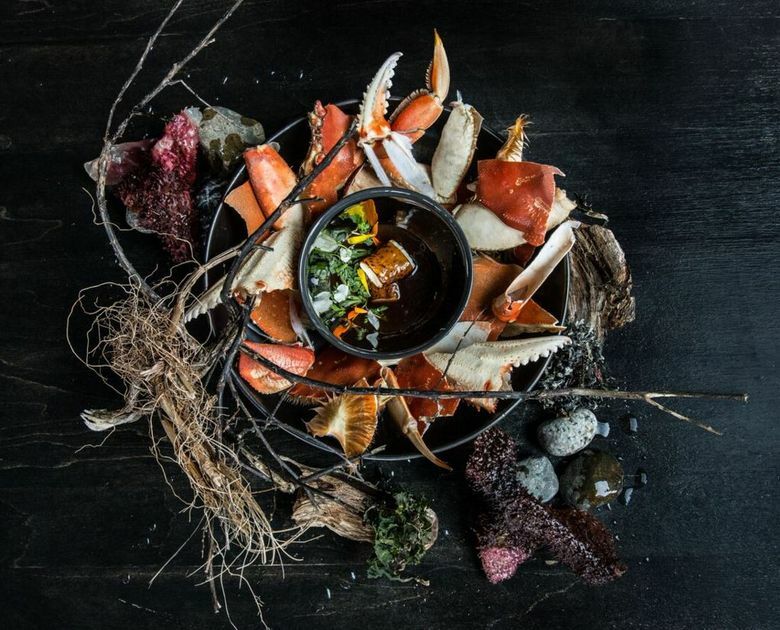 Altura on Capitol Hill: One of Seattle’s finest in fine dining is narrowing in on that focus, announcing that they’ll exclusively serve their $137-per-person tasting menu — no more three-course or a la carte options. Make a reservation right away for before June 21 if that’s too rich for your blood! L’Oursin, a very promising Pacific Northwest restaurant in the Central District; GoPoke in the I.D., for even more Hawaiian deliciousness hereabouts; a Smith Tower “speakeasy”; Manu’s Bodegita on Capitol Hill (see below). Little Uncle’s take-out window on Capitol Hill: But never fear, they’ve got their sit-down restaurant up and running just half a block away (and they love the space, saying “It’s perfect”). And good news: The take-out window will become a new spot from Manu Alfau, of the very tasty Manu’s Bodega, later this summer. This post has been updated to reflect that the sign outside Amante has a valid permit; it was the rate at which the sign flashed that was found in violation by a city inspector.